SHIELD TV is the ultimate streaming device for 4K HDR media and hi-def gaming. Here at Slickdeals, we're big proponents of cutting the cord, but the experience is still fragmented with programming and channels spread across a variety of apps and services. When it comes to streaming devices, the landscape is also split based on where your media library lives — with Apple, Google, or Amazon. But the redesigned, new-for-2017 NVIDIA SHIELD TV aims to remedy the separation by delivering an all-encompassing Android TV experience along with a real solution for cost-effective, high-end gaming. 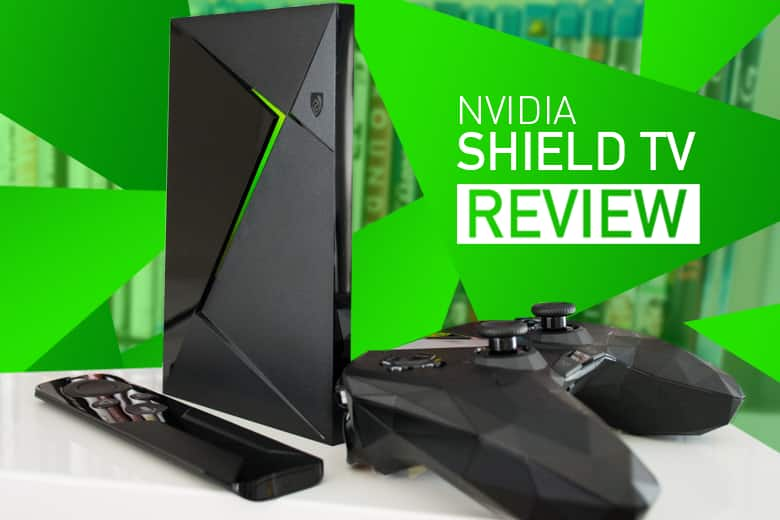 NVIDIA sent myself (SD's gaming expert) and Johan (SD's seasoned cord-cutter) each a 2017 model SHIELD TV, and after living with the device for a few weeks as our one-and-only entertainment hub, we'd like to share our experiences with you in this joint review. Stream your own PC games to the TV. Android 7.0 TV operating system. One of the fastest streaming devices on the market. Comes with Google Assistant for advanced search and smart home control capabilities. Both remote and game controller have microphones for voice commands. 16GB built-in storage, expandable with external USB drive. The sleek look of the redesigned SHIELD TV easily complements any entertainment setup, and adds a ton of convenience and performance thanks to its Android 7.0 TV operating system and 4K HDR streaming capability. We were pleasantly surprised by how compact the unit is, measuring about the size of a DVD case. You can lay it flat, stand it on its side, or completely hide it away. Personally, I like seeing the glow of the green LED when it's powered on. Of course, the light can be turned off if green isn't part of your entertainment system's color palette. On the back panel, you'll find two USB 3.0 ports, an HDMI 2.0b port with support for 4K HDR, an ethernet port, and power connection. Our test model also came with 3GB of system memory and 16GB of built-in storage that's expandable with an external USB drive. We'll take a deeper dive into the features of SHIELD TV a bit further down in the article, but in terms of the physical device itself, its minimalist design language makes it look more like a piece of art than a set-top box. As your main tool for navigating menu screens, SHIELD Remote feels great in the hand with a mix of matte and gloss surfaces. 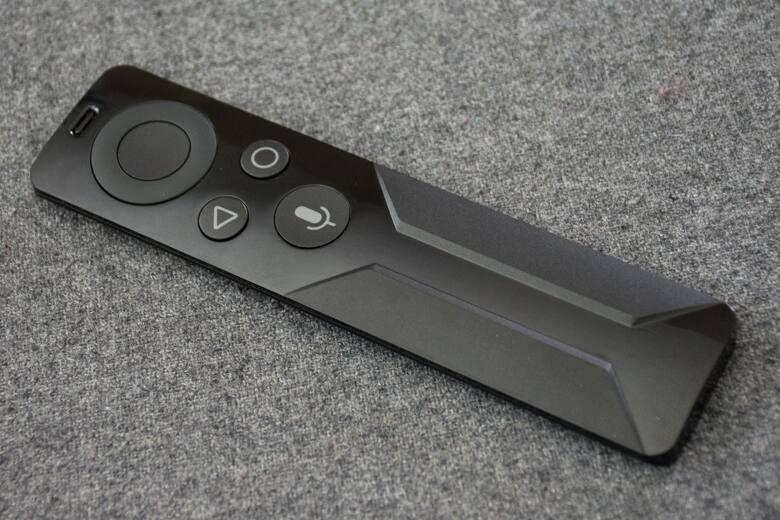 The remote comes pre-paired to SHIELD TV, and uses Bluetooth technology for a strong connection with zero line of sight requirements — you can use the remote from another room. Main features of SHIELD Remote include voice search functionality, integrated IR blaster for controlling other devices, and a touch-sensitive volume slider hidden in plain sight on the bottom half of the remote. A simple swipe up or down on the area just below the mic button adjusts the volume on SHIELD TV. It's definitely a sleek design, but you might find yourself accidentally adjusting the volume when you pick up the remote. There is an option to disable the volume slider, if you have an A/V receiver that controls the master volume of a home theater setup. The microphone is very sensitive, allowing you to speak naturally while keeping the remote in a neutral position near your lap. Aside from the angular, space-age surface texture of the SHIELD Controller, everything is pretty standard (which is a good thing!). The form-factor closely resembles that of an Xbox controller, which is a good thing for me since I have large hands. Just like the remote, the SHIELD Controller comes pre-paired to SHIELD TV via Bluetooth, and you can pair it with other devices to play games, such as your desktop PC or laptop. What this also means it that SHIELD TV can accept a variety of other Bluetooth-enabled controllers/keyboards/accessories. 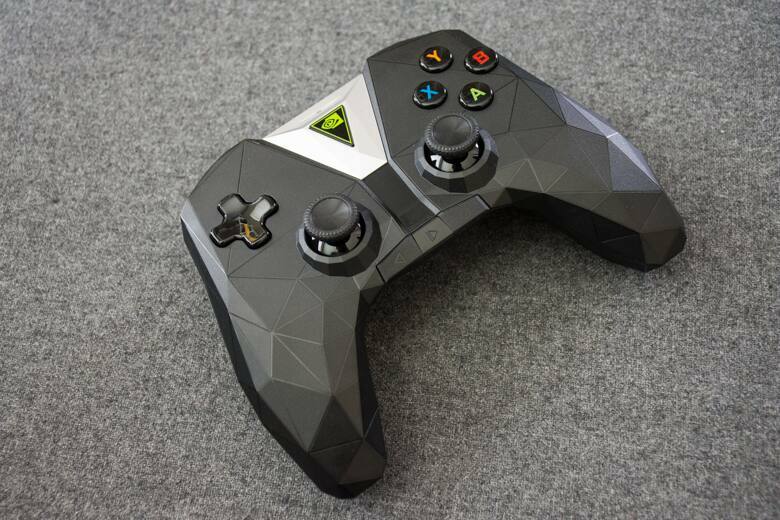 The NVIDIA button in the middle of the controller activates voice command capabilities, and in between the thumbsticks is a touch-sensitive volume slider. Other features of SHIELD Controller include a stereo headset jack, a rechargeable battery that lasts up to 60 hours, integrated IR blaster, and dual vibration feedback. It's a great looking and feeling controller that boasts just the right amount of resistance for the thumbsticks and buttons, and the long battery life is definitely a selling point. Andrew: This is by far the easiest setup process I've ever experienced in my many years of fidgeting with gadgets, game consoles, and smart devices. Since I use an Android smartphone, and SHIELD TV runs on an Android operating system, the entire setup process consisted of me opening the Google app on my phone, telling it that I'd like to set up a new device, and letting SHIELD TV handle the rest. WiFi credentials were automatically transferred from my phone, and initial software updates began installing immediately. Once the home screen appears, it's ready to go... sort of. You can start enjoying SHIELD TV right away, but to get the latest features, you'll need to install additional software patches for the box, remote, and controller. SHIELD TV won't prompt you about needing these additional updates, so less tech-savvy users may find themselves at a loss if they don't know how to find online user manuals or look for help in forums. Johan: The setup process was pretty seamless for me as well. I'm not used to Android devices, but I can't say that I had any trouble getting the SHIELD TV to start up the first time. I did find the software updates a bit annoying because you had to do them all separately. I missed one of them initially, which prevented me from linking the device to my Google account so I could redeem my free voucher for a game. There was no indication in the main menu about what update was missing, so I had to refer to an email sent to us from NVIDIA. 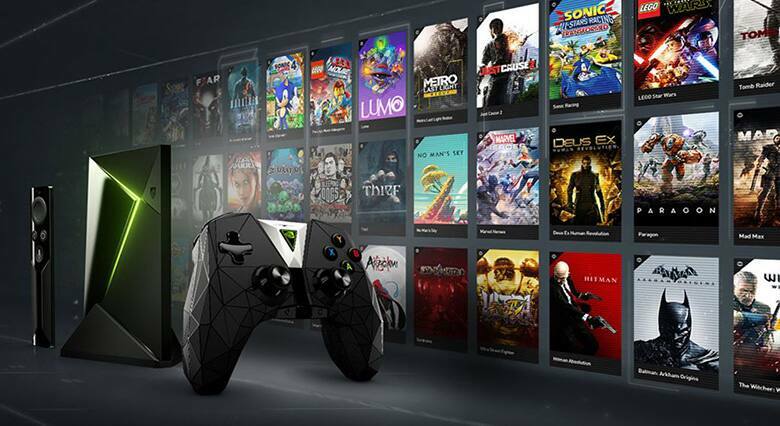 One of SHIELD TV's best features is its ability to essentially become a next-gen gaming console, allowing you to play games stored locally or via cloud- and local-based streaming. There's a large library of games available in the Google Play Store, including some major studio titles like Tomb Raider, Resident Evil 5, Portal, and Metal Gear Rising: Revengeance, to name a few. I installed Tomb Raider and Metal Gear Rising: Revengeance, having played both on an Xbox 360, and was impressed with the performance and visuals of the games. They looked and felt just like I remembered, but what's even more notable is that this tiny box is powering my game time. How is that possible, you ask? It's a combination of recent hardware advancements and the fact that these games were ported specifically for SHIELD TV. If you want to get really nitpicky, the in-game 3D models and graphics textures are slightly less complex, but they all run at high-resolution, and most gamers won't notice a difference in graphics quality. To experience games as you would on a powerful PC, you can sign up for NVIDIA's GeForce NOW game streaming service. A $7.99 per month subscription gives you access to a growing library of over 100 titles (over 60 included with membership; more on that later), and lets you play games right away without downloading or installing anything. It's like Netflix for games! It's important to note that your experience with GeForce NOW is highly dependent on your Internet speed and in-home network strength. A weak network will produce stutters, freezes, and fuzzy images, making most games unplayable. I quickly learned that I needed to upgrade my router, and after doing so, was able to enjoy games with maximum detail at 1080p resolution and 60 frames per second — it felt like I was playing on my PC, but with the slightest bit of input lag (again, probably not noticeable for most gamers). GeForce Now will automatically adjust the streaming resolution should your network performance dip, and the switch is so seamless that you'll never know unless you turn on the network status monitor. 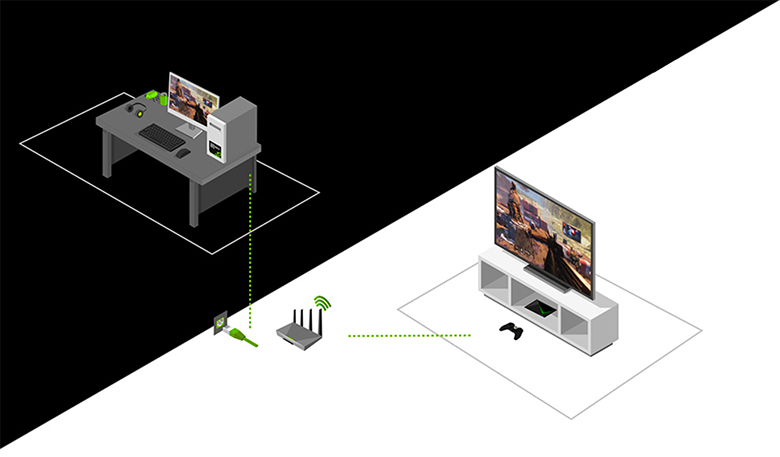 NVIDIA has a list of SHIELD-Ready routers for those who need to improve network performance, but I'd highly recommend a wired connection if you plan on streaming games often. The selection of titles available from GeForce Now is currently a mix of new-ish and older games, many of which are single-player only. The lack of brand new games is understandable — it's the same reason movie studios wouldn't want a film to release in theaters and on Netflix simultaneously — but what's initially puzzling is that a large number of the newer games require an additional purchase on top of the monthly subscription fee. Further research revealed that the paid games also come with a Steam key for PC download, meaning that you're actually buying the game to keep — it just so happens that streaming rights on GeForce NOW are also included for that particular title. Think of it as buying a Blu-Ray movie and getting a digital key to stream on UltraViolet... except you also have to pay for the UltraViolet service. If you have a gaming PC, you can streaming compatible games directly to SHIELD TV using NVIDIA GameStream (only for GeForce GTX-powered PCs). It's a similar experience to streaming on GeForce NOW, with the quality of visuals dependent on your PC's hardware and home network strength. With my PC hardwired into the router, I was able to play Project CARS, a graphically demanding racing game, in high-definition and at 60 frames per second. A small amount of input lag was present due to the fast-paced nature of the game, but I was still impressed with the seamlessness of the overall experience — I essentially had a remote station for my PC. As an avid gamer, I've always wanted to be able to play my PC games in the living room so that my girlfriend and guests can also enjoy them. I've toyed with the idea of building a second PC, but having a large, loud machine in a common area would be an eye- and ear-sore. Thankfully, SHIELD TV's streaming capability brings high-end gaming to the couch in a discreet and stylish form-factor. Yes, there are other products that also accomplish this, and the tech geeks are probably crying out that they can build a similar system from scratch. But SHIELD TV is the only turn-key solution (that I know of) that also includes a complete media viewing experience for those who don't have the desire to be an IT and networking specialist. As for GeForce NOW, I won't be continuing my subscription after the 30-day free trial because I've already played most of the games that are included in the membership. And if the newer games require an additional purchase, I'll just buy the game for my PC and stream locally. Don't get me wrong, though, GeForce NOW is a cost-effective way to get caught up on yesteryear's releases for those who don't have a gaming PC or console at the ready. I've been using a multitude of streaming devices over the past few years after ditching my cable subscription. I have the Google Chromecast, Amazon Fire TV stick, and an Apple TV. What I realized very quickly after setting up the NVIDIA SHIELD TV was that all those other devices instantly became obsolete. You can use SHIELD TV as your cast device instead of Chromecast, you don't need Fire Stick to watch Amazon Video anymore, and with the exception of renting or buying movies via iTunes, it can do all the things I use the Apple TV for. SHIELD TV also has a better remote if you ignore the touch-sensitive volume control — it's way too easy to accidentally turn the volume to the max anytime you pick it up. The remote is built much sturdier than the Apple TV remote, though — the 4th-gen Apple TV remote only lasted about three days in my house until it fell on the floor, leaving the glass that covers the touchpad shattered and unsafe to use. I like that SHIELD TV keeps all of your apps running in the background unless you close them down, even after it starts back up from sleep mode. On the Fire Stick, which is painfully slow, you have to go through the whole launch process every time you turn on your TV. I know, first-world problems. But still, it impacts your overall experience. When you begin streaming a movie or TV show, SHIELD TV immediately displays it in full HD resolution. It's a vast performance improvement over Chromecast or Fire Stick, which usually shows a low-res feed for the first few seconds, especially after you fast-forward or rewind. Speaking of fast-forwarding: my main complaint with using SHIELD TV is how it handles scrubbing through a movie or TV show. It's not a limitation of SHIELD TV itself, but the apps that were made for it. If you're watching Amazon Video and want to skip ahead 30 seconds or so, good luck. Your options are eight seconds at a time or 2+ minutes at a time. On most other devices, you can choose to skip ahead/rewind by 2x, 4x, 8x, 16x etc., but on both Amazon Video and Netflix for SHIELD TV, you don't have that luxury. And you can't ask Google Assistant to skip ahead/fast forward to a certain point like you can with Apple TV. For the time being, voice commands are only available in the main menu — it's something that I used to think was more of a nice-to-have feature, but I've found myself using it a lot with Apple TV. Hopefully SHIELD TV will receive an update in the future to allow for voice commands throughout its applications. I really like everything else about SHIELD TV, and see myself continuing to use it instead of my Apple TV. It's definitely more cost prohibitive when used as a streaming device only, but if you're at least a casual gamer and currently don't have a streaming device, it's worthy of your consideration. Is SHIELD TV Right for You? Starting at $199.99 for the 16GB version of SHIELD TV and $299.99 for the 500GB SHIELD PRO, making the leap to a full-featured Android TV ecosystem is by no means an impulse decision. While both versions have appeared on Slickdeals's frontpage for $180 (SHIELD TV) and $260 (SHIELD PRO), there's still many different things for people to consider before buying one. Do you have a large library of songs and movies on iTunes? Is game streaming important to you? 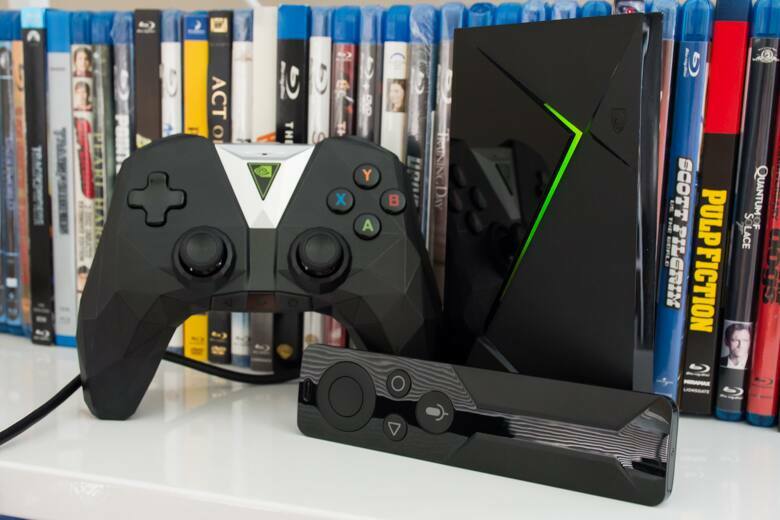 Do you already have a PlayStation 4 or Xbox One that can do most of what SHIELD TV can? If you're a loyal Google products user and are looking for an all-in-one streaming solution, getting SHIELD TV is a no-brainer because it's essentially a super-powered Chromecast that can be controlled by Google Home and other connected devices like Harmony Hub. A recent update also added Google Assistant to SHIELD TV, meaning it can now be a command center for your smart home products like Nest devices, smart lightbulbs, and more. Personally, as a PC gamer who already uses Android- and NVIDIA-powered products, SHIELD TV is a natural addition to my arsenal of entertainment devices. SHIELD TV's ease of use, instant power-on, and high-performance streaming capabilities make it an essential entertainment hub for those wanting the best visuals delivered in a streamlined experience and form-factor. It's a dramatic improvement compared to streaming media sticks, but will be a harder sell for those who already have a next-gen gaming console or streaming hub like Roku — at this point, it comes down to the importance you place on game streaming and exclusive apps from Google Play Store. There's so much you can do with SHIELD TV, and its superior hardware and design will have you future-proofed for a very long time. 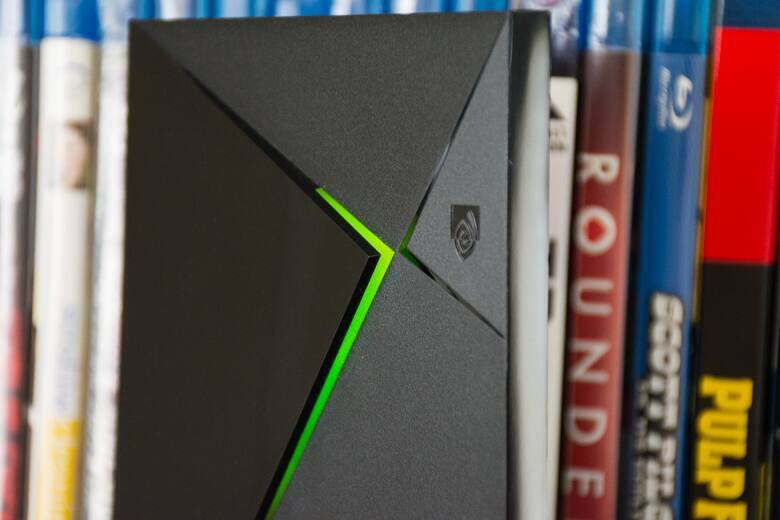 Learn about other ways you can take advantage of SHIELD TV by visiting NVIDIA's SHIELD TV blog.